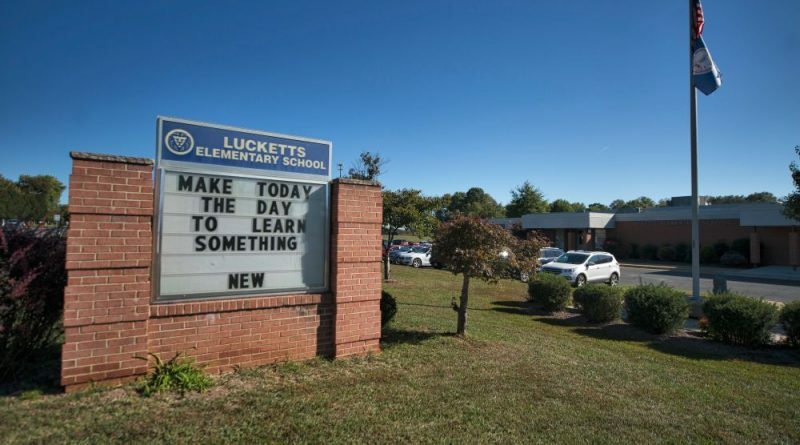 The Board of Supervisors finance committee has recommended sending $7 million in budget surplus to the school system for, among other things, three new classrooms at Lucketts Elementary School. Those $7 million, if approved by the full Board of Supervisors, would fill the School Board’s full request for a share of the county’s year-end fund balance. The classrooms are expected to cost $3.1 million. The School Board also requested $3.9 million to expand the Lucketts Wastewater Treatment Plant to accommodate for the Lucketts Community Center, the Lucketts Fire and Rescue Station, and future growth at Lucketts Elementary, and to bring the plant up to state requirements. Among the other expenses coming out of the county’s $84 million surplus: $15 million for a Metro Stabilization Fund. The county will soon start paying toward Metro’s capital budget, estimated at $28 million. However, the Washington Metropolitan Area Transit Authority has not formally established that rate. County budget staff recommended the county set aside money in case that changes. The committee also recommended spending $465,000 to contract a project manager for the county treasurer’s office to help centralize town tax billing and collections. The county has launched an effort to set up systems and win state approval to take over billing and collecting taxes for most of the county’s incorporated towns. “The long and the short of it is, since we began undertaking the project, we’ve come to realize the complexities of the issue that are involved,” said Treasurer H. Roger Zurn Jr. The county has estimated $220,000 to start up the program, with almost half of that reimbursed from participating towns. The county could also set aside $12.3 million for next year’s budget, the equivalent of about 3 cents on the tax rate, not accounting for growth in the budget. Another $27.5 million could go to one-time capital expenses. The county board has already decided to spend $912,506 on a safety audit of Evergreen Mills Road. The county ended the year with $68.5 million in fund balance to decide how to spend, resulting from higher-than-budgeted revenues and lower-than-budgeted expenses. Coupled with $15.5 million in fund balance from the schools, supervisors will decide what to do with $84 million altogether. One or the other a living wage for school support people or additional classrooms for FDK!